New Water Bound Bras and shorts in Brisk Lime/Euro Blue and Paradise Grid Multi Print. The Water Bound bras go to a twelve in Australia. I really hope we get these bras but I doubt we will. Groove Shorts, 50 Rep Bra, and Speed Shorts in Paradise Grid/Very Green. I think we'll be getting these items. 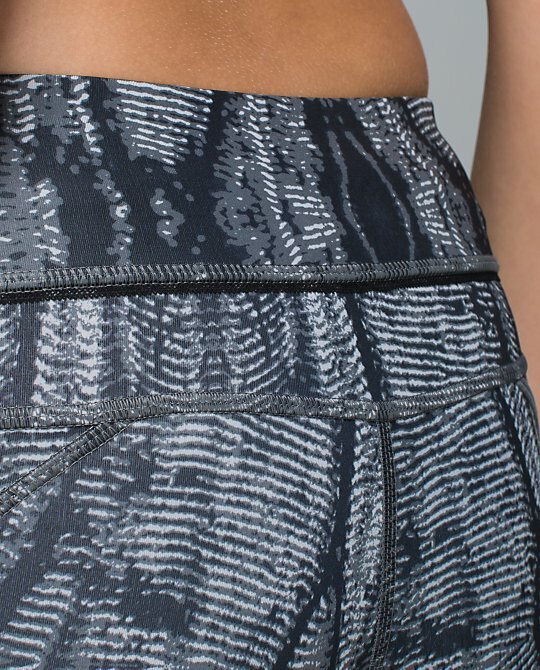 The new Passion Crop IIs in Subtle Serpent Silver Spoon Slate Print and Heathered Slate. 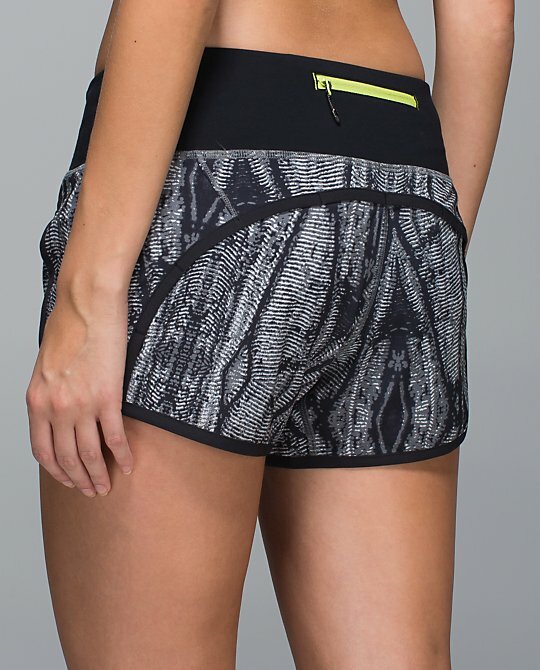 Speed and Run Times Shorts in Subtle Serpent Silver Spoon Slate Print. Thanks to a reader for spotting these in the secondary photos - new Water Bound Singlet and short in an ocean print. Forget these patterns! 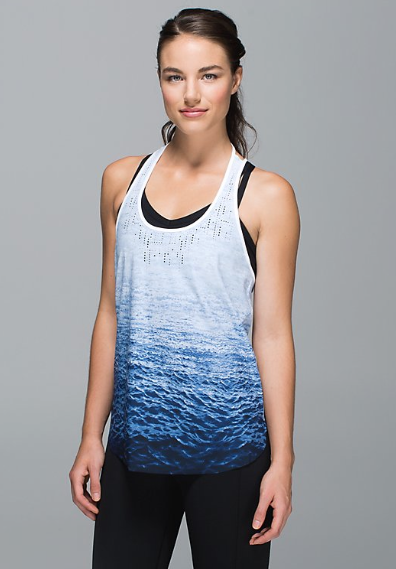 Did anyone see the ocean print on the waterbound shirt in the black waterbound crop picture? Or the shorts in the black waterbound bra picture? @anon 8:11 am - good eye! I will add those photos in. The new prints aren't really my cup of tea, but I think they're pretty nice and definitely a nice change from the usual for those who like these kinds of prints. I might have liked the Paradise Grid print for myself more if it didn't have the Grid pattern, but it is pretty, I just don't think it's for me. what about the placement of the red in the paradise grid speeds? every woman's worst nightmare during "that time of the month"... no?? Ha Anonymous 8:44 what's what I was thinking....those red splotches right there kill it! How long is the waiting list for Lulu Lounge on Facebook? I sure would love to be able to chat about Lulu clothes! Does anyone know what the water bound crops are made from? It doesn't state it anywhere on the site.. They're made from swim fabric. I think it's a treated form of luxtreme but a bit stiffer. That makes sense re: the swim/luxtreme fabric. 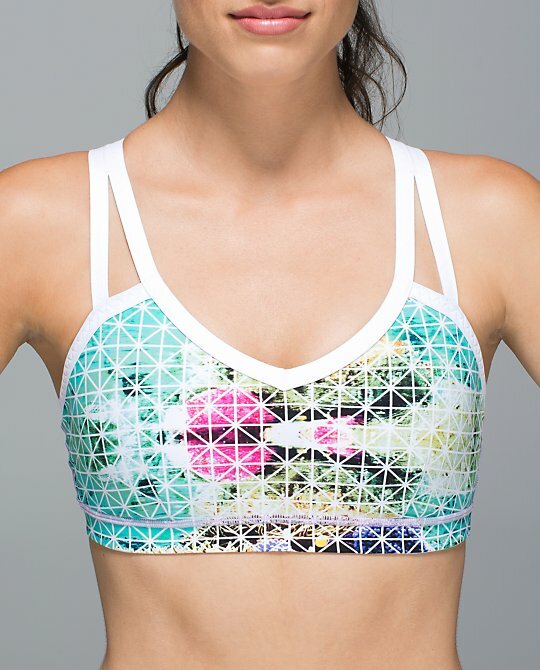 All of my water bound pieces that I purchased this past season had to be returned due to color bleed/fade, including my water bound bras which I loved so here's hoping they corrected that issue in their swim fabric with this next round of fun prints...I really like the grid print as well as the ocean print..did anyone else have this problem? @ lulu - Oh no! Did you use them to swim in? 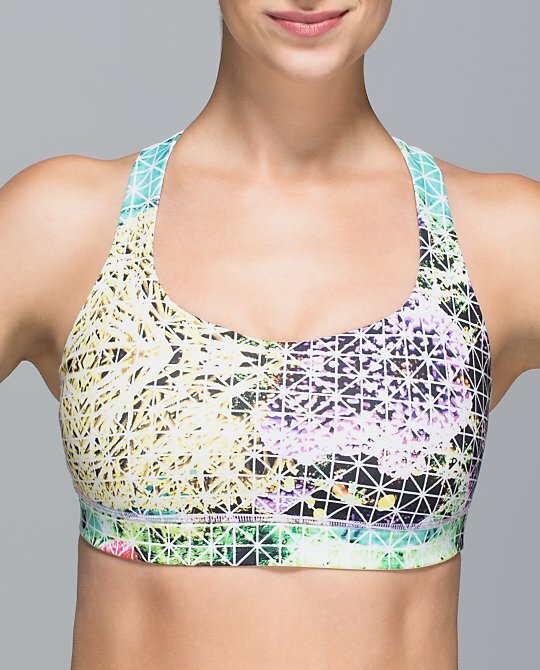 I use my Water Bound bras for running and bought them in the Burlap and Wamo Camo print and haven't had any issues with them fading. I wear them at least once a week, too. I did buy swim bottoms and the singlet but only used them in the ocean/pool a few times. @ lulu - wow, now that is bizarre. I just bought a Burlap Energy bra on markdown from my local store, too. They recently posted something on the website about taking back anything for quality issues so they are definitely better about returns. I've recently sent back two items (defective return) due to seams unravelling. I've never had this issue like so many others have and it just so happened to be from the same upload/order. Things still aren't perfect, garment wise, but the GEC has been amazingly helpful. It's just sad to have to return something that I loved. Loving that ocean print in the singlet. my solid color water bound singlets have been great. no color bleed. i did have color bleed with the black/dune stripe on though. @ 8:44 AM, you are totally right! Small doeses of this print are OK in a bra, for example, otherwise I'm not into it. Even on a bra you have to watch the red placement. The ocean print is very sweaty betty. I like it. My burlap water bound bra faded a bit as well. I was using it for running on the beach and I would do a quick swim to cool down, used the bra maybe 6 times and when it got wet it stopped being supportive. I still wear it but not for running.